With the leaves turning a variety of vivid colours, the walking routes a little quieter and the days crisp and bright, autumn really is one of the best times to explore the Norfolk Broads. At this beautiful time of year, the region’s wildlife is in full swing with a wide array of birds, mammals and insects making an appearance on the waterways. If you’ve been tempted by the views you’ve seen through Norfolk web cameras and want to visit this beautiful region yourself, here’s a rundown of some of the wildlife you can expect to see this autumn. During the autumn months, a number of species of birds begin their migrations in preparation for the coming winter. As you may have seen on Norfolk webcams in previous years, a variety of Scandinavian species visit the Broads in the winter. Visit in the autumn and you may well see bean geese, pink-footed geese and white-fronted geese. 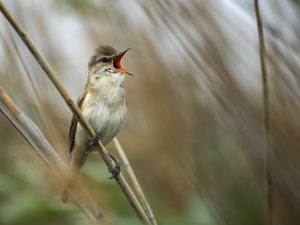 In September, you may well see barred warblers, ortolan buntings, red-breasted flycatchers, red-backed shrikes and wrynecks. In October, you could be lucky enough to spot pallas’s warbler, while November is the perfect time to keep your eyes peeled for the little auk. One of the best places to spot birds on the Broads is from the water. Hire a boat and you’ll be able to spend glorious autumn days exploring the county’s waterways and admiring its many winged visitors. As many people who are familiar with the countryside will know, autumn is the time for deer rutting. One of the best places to watch the deer rut in Norfolk is Holkham Park. 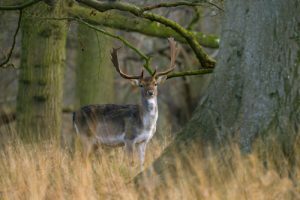 Make a day of your trip to see the deer by exploring Holkham’s pretty woodland and gardens. Norfolk’s waterways are teeming with life. 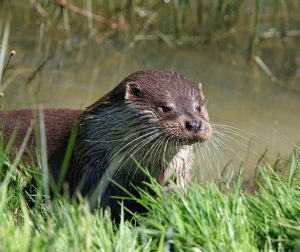 One of the most popular creatures to call the rivers and Broads home is the otter. Autumn is the best time to spot otters. However, as they remain elusive so you’ll need to keep your eyes peeled. They’re most active at dawn and at dusk, so you’ll need to get up early or stay on the Broads till late if you want to catch a glimpse. 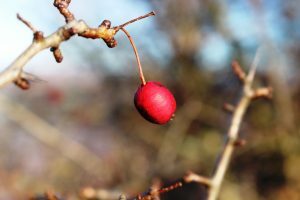 During the autumn months, many of the leaves of the trees begin to change colour and a number of shrubs and bushes are adorned with colourful berries and nuts. These bright, warm colours can make for fantastic photos and provide classic autumn scenery for you to enjoy. If you’re planning a trip to the Norfolk Broads this autumn and want to find out about luxury boating holidays or day boat hire, we can help. Get in touch to find out more.